The Perkin Elmer 2380 is a double-beam, microcomputer-controlled atomic absorption spectrophotometer. The 2380 uses a high-dispersion monochromator with a dual-blazed grating and high-performance photomultiplier for maximum energy throughput over the wavelength range from 190 to 870 nm. Two sets of slits (Normal and Alternate) provide optimum performance with both flame and flameless techniques. 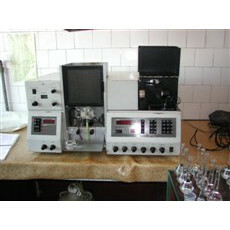 New and used PerkinElmer 2380's for sale on LabX below. Find the ad listing you need and get price quotes from a variety of vendors.